Officials with the state's largest consumer advocacy organization on Tuesday released the annual "Trouble in Toyland" report. The report, now in its 28th year, highlights toys that could be potentially dangerous if given to small children. Several toys with high lead levels or toys that could cause young children to choke were found at major retailers and discount stores in the last few months, the Illinois Public Interest Research Group said. Fifty toys were analyzed for the annual report. Violations were found in just under a dozen, including a Captain America toy shield and play jewelry. See the list below. "Between 2001 and 2011, over 80 children choked to death on balls, balloons, toys or marbles," said Illinois PIRG's Dev Gowda. "In the past year, the [Consumer Product Safety Commission] has recalled more than 172,000 toys from store shelves because of choking hazards." Government figures show 31 toy recalls in fiscal year 2013, which ended Sept. 30 -- none involving lead. The number of toy recalls has been declining, down from 38 recalls in 2012; 50 in 2009 and 172 in 2008. A 2008 law that set stronger standards for children's products, including strict limits on lead, has helped make many products safer for youngsters. 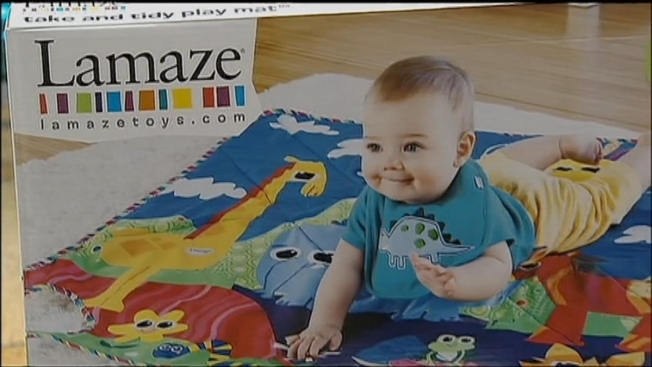 The law was passed after a wave of recalls of lead-tainted toys. Product: Punch Balloons by Toy Investments, Inc. by Toy Investments, Inc.